We are delighted to announce that we are now selling copies of Professor John Hume’s latest series of books. John Hume, who is a long serving Trustee of SCT, is also former chief inspector of Historic Buildings at Historic Scotland, an academic and an author of many books on Scottish architecture and industrial history published over the last decades. 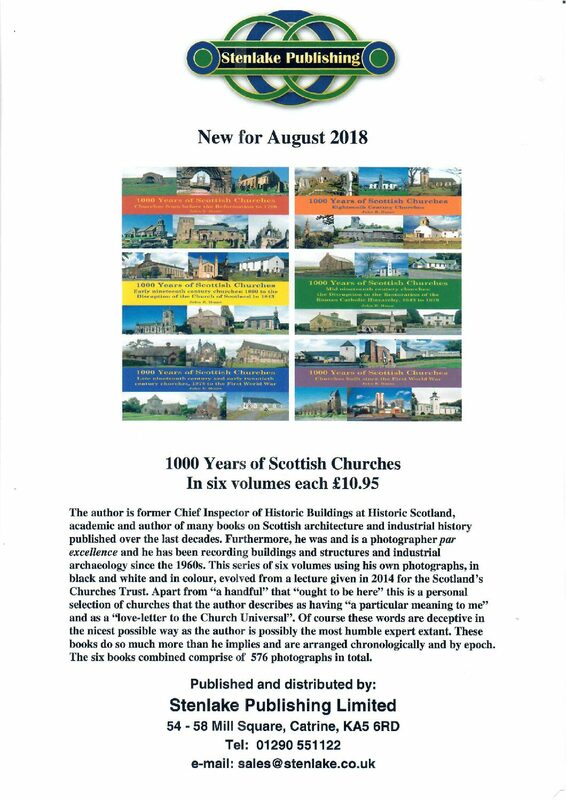 His new series ‘1000 Years of Scottish Churches’ in six volumes priced at £10.95 (plus P&P) are expected to sell out fast! If you are a paid annual member of the Trust or a ‘Friend of SCT’ you receive free postage and packaging! Please email info@scotlandschurchestrust.org.uk to order your copy/copies now!